This homemade costume for pets entered our 2011 Halloween Costume Contest. 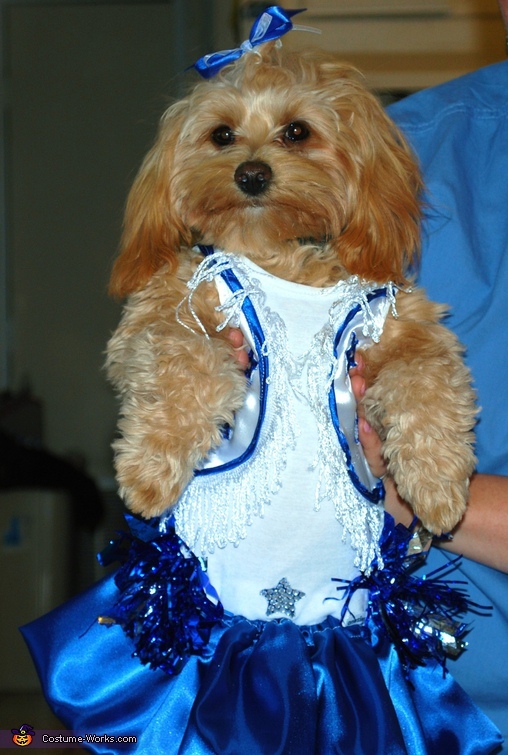 This is my sweet Ella Bella as a Dallas Cowboys Cheerleader! ;) Rest in Peace baby doll.